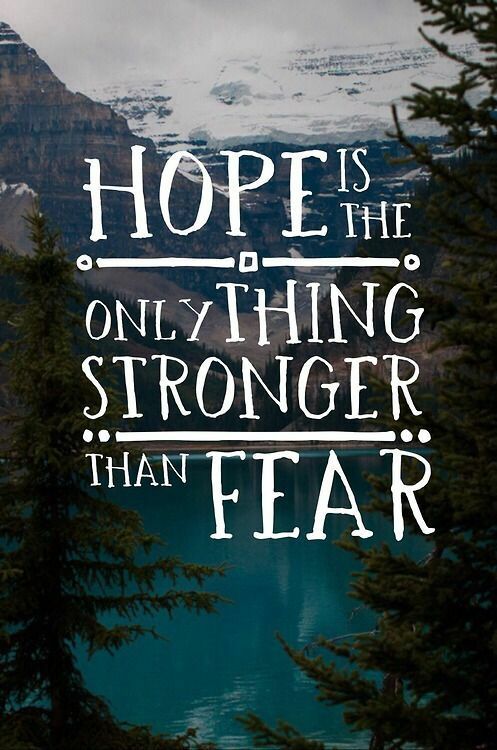 Hope... what is hope? How is hope defined? Let's rock this word and find out. 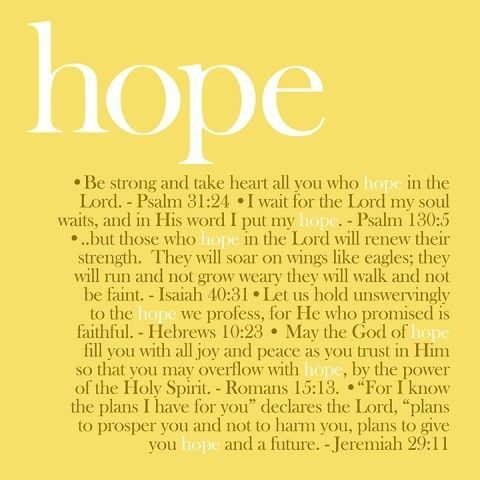 The Word of God tells us in many places what hope is. 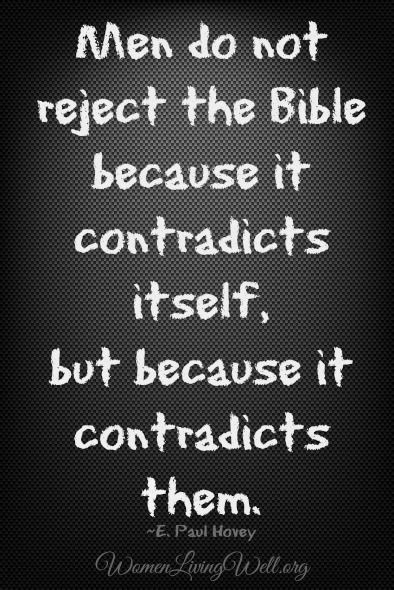 Hebrews 11:1 says "Faith is the substance hoped for and the evidence of things not seen. 1Colossians 1:27 says "The Hope of Glory, Christ in me. The World defines hope as sometimes elusive and or fleeting. In Webster's Dictionary: the archaic word HOPE is defined as TRUST. So let's replace hope with trust and see how it fits. It fits beautifully- same meaning different word. 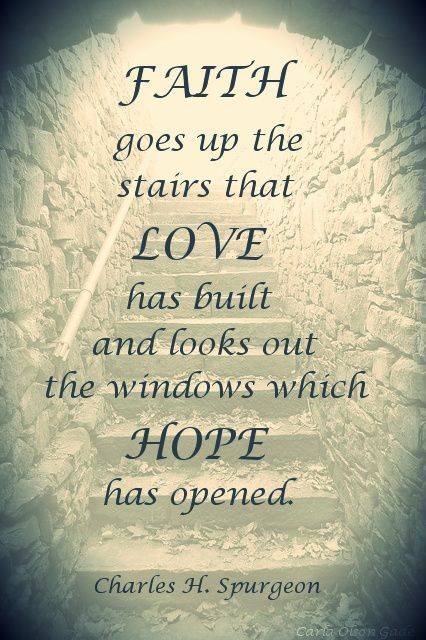 Hope, Faith and Love, the greatest of these is Love. In my search for Hope, I find Jesus. He is the center of my life, the head of my life and I walk in the back, I place my hope in HIM. I know I can not be in this life without HOPE/Trust in HIM. If I have lost everything in my life, family, house, jobs, I still have Jesus. He is the cornerstone of my life. When I am lost and need my Jesus, I remember all the names God is and pray on those names, giving God again first place. Read through these names from the Old Testament to the New. Isn't God awesome? Here is the way I will at times pray. El Olam, the everlasting God, yes you are, you are here from the beginning to the end. You are El Shaddai, you are all I need. You are El Elyon- The God most High, you reign over all the earth, you reign in my heart and life. 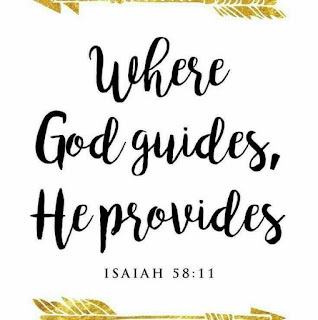 Lord you are Jehovah Jireh, my provider, your grace is all I need. Your banner over me is Love. You are the creator of all things. You are my shepherd, you reign. 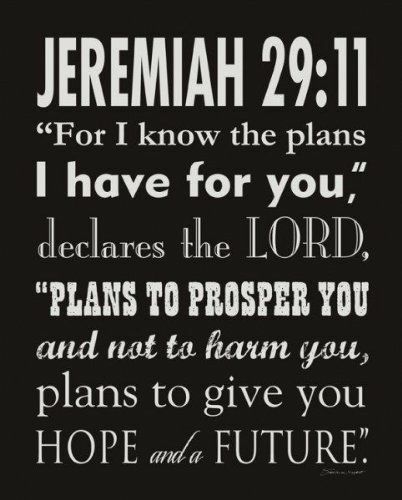 and I will go all through these, for me it helps me to remember who HE created me to be and what He does for me daily. And so, we hope in the Lord, we Trust in the Lord. In our life, we say "we hope" it works out. We trust that it will. But what if is doesn't. Did God fail you? No, never. But... but... God never fails. We fail, but when we place our trust/hope in God, sometimes things don't happen because HE has a different plan. Sometimes, it's people's free will that happens.